Today was one of those picture perfect November days…if you like sunshine and mild temperatures. And it was a perfect day to play around with taking pictures. 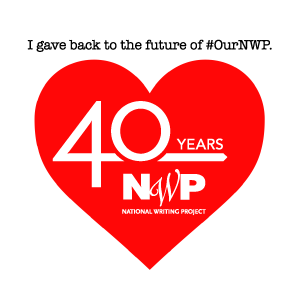 You’ve probably noticed that I love the beach…and so when my son and daughter-in-law wanted to take their dog–a chihuahua named Elli–to the beach, I was eager to go with them. 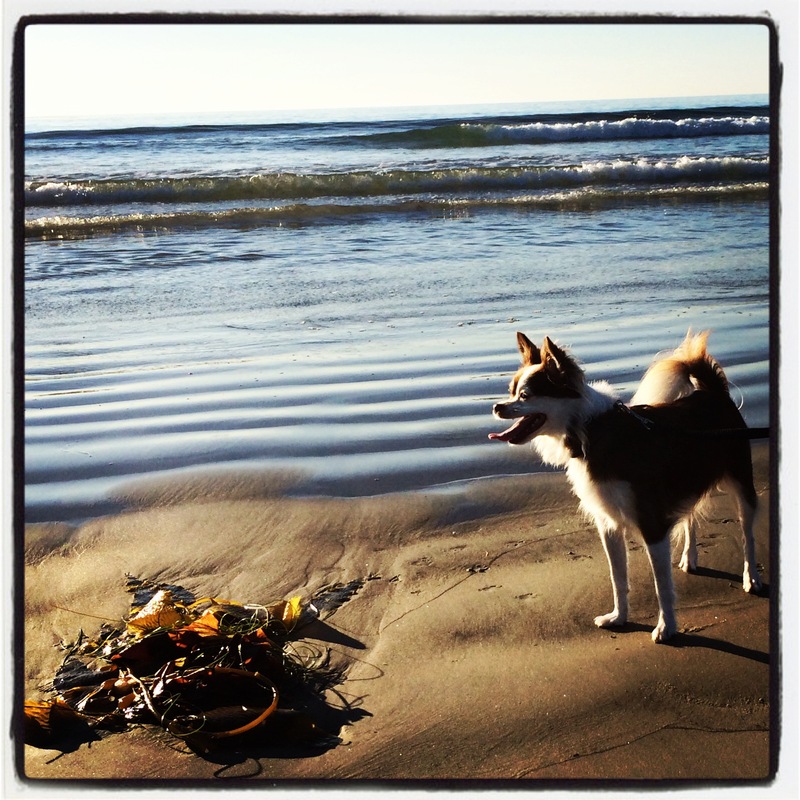 After a bit of research to find which nearby beaches allow dogs…on leashes…we headed off with Elli and her leash. This was Elli’s first beach outing, and she loved it! And I was also on the lookout for other interesting photo opportunities as we walked and Elli explored. 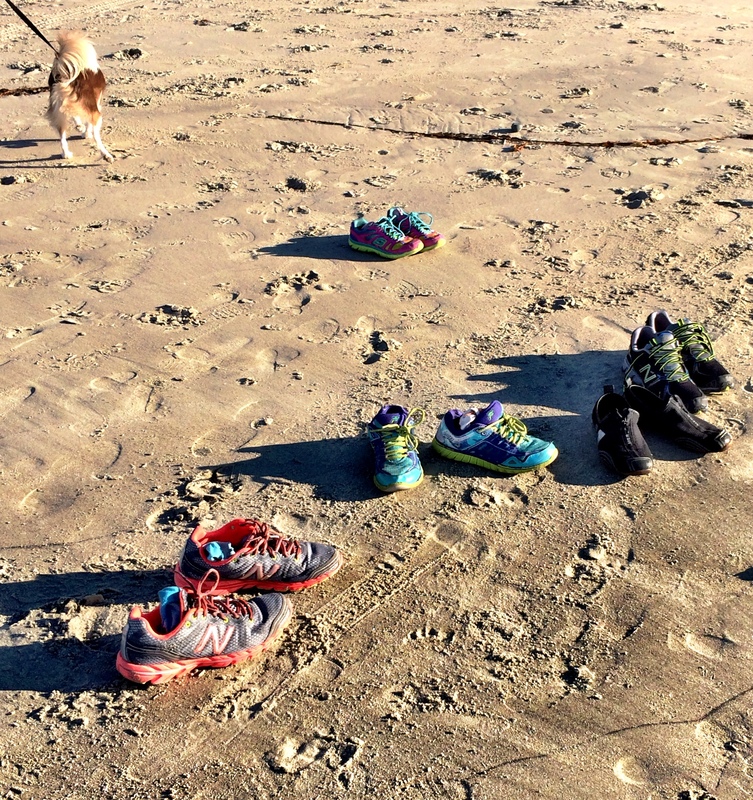 I love this scatter of shoes on the shore while the family dipped their toes in the (cold) ocean. I wonder where the paragliders (the ones with motors) take off from. 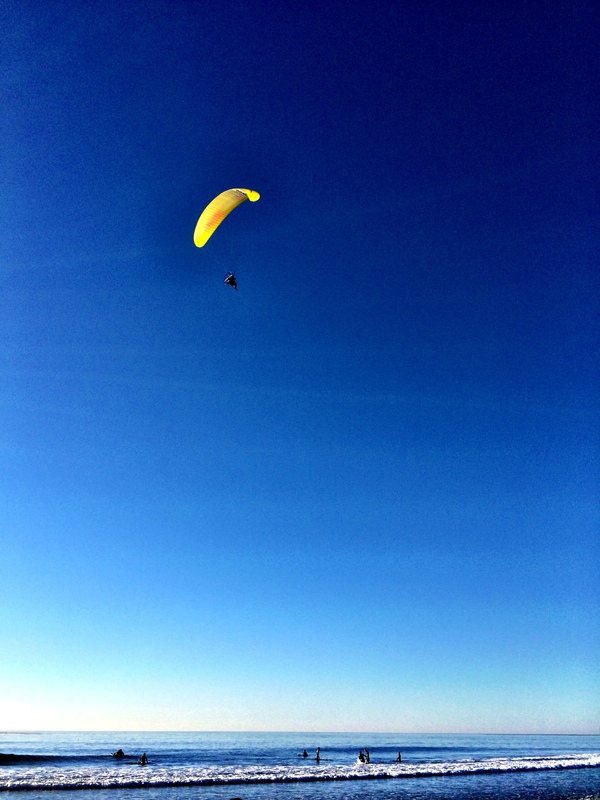 This guy was cruising the beach from high overhead…but I doubt that he came from the glider port in La Jolla. It seems more likely that he took off from the beach. And I decided to play around with some apps too. I just got a new app that lets you adjust the depth of field. That seems to mean that you can focus on a particular place/item and the other areas get blurry. It also has some filters that create interesting effects. 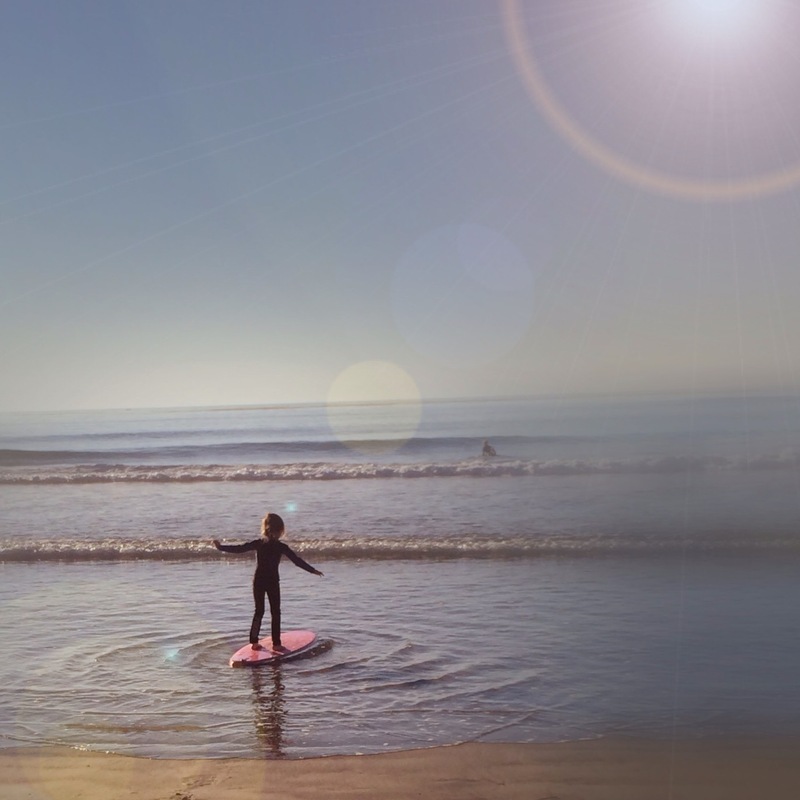 Here is little girl who was working at balancing on this surfboard in the shallows. 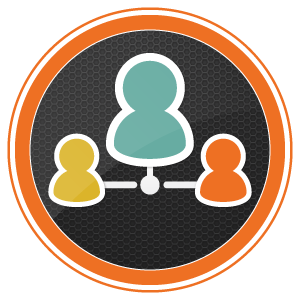 Sketch also creates some interesting effects…and works better on some pictures than others. 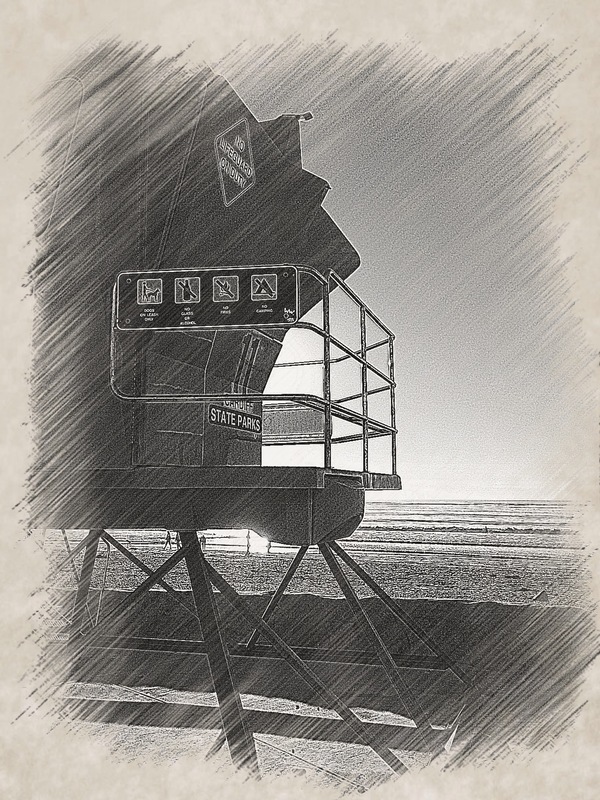 I like how crisp and visible the signs on the lifeguard tower are when it become a sketch. For this piece of kelp I played around with the HDR effect in PicsArt. It seems to make the image crisp and brings out the graininess of the sand. Even spending the majority of my life in this city, I am continually awed by its beauty. I’ve been hearing the news stories about the storms and snow and ice in the midwest and the east and feeling a bit guilty about our beautiful, warm and sunny days this week. It’s supposed to be cooler tomorrow for Thanksgiving, but who can really complain about low to mid 60’s on Thanksgiving? Wherever you are, I hope you have the opportunity to enjoy your place for its own beauty…and if you celebrate Thanksgiving, I hope you are surrounded by those you love as you appreciate all that the day brings. Happy Thanksgiving! 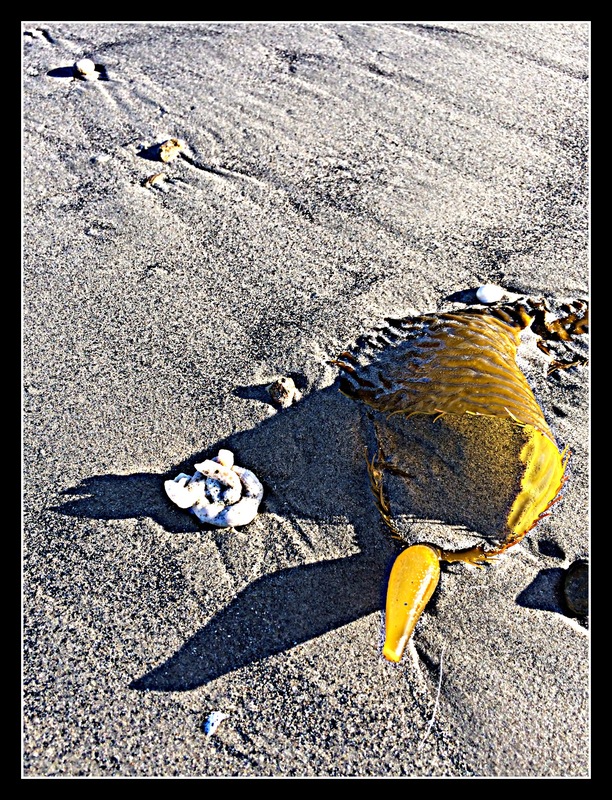 This entry was posted in digital tools, making, photography and tagged apps, beach, chihuahua, depth of field, photography, Thanksgiving on November 27, 2013 by kd0602.